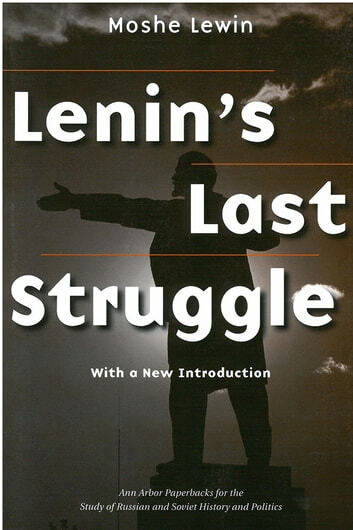 One of the great political strategists of his era, V. I. Lenin continues to attract historical interest, yet his complex personality eludes full understanding. This new edition of Moshe Lewin's classic political biography, including an afterword by the author, suggests new approaches for studying the Marxist visionary and founder of the Soviet state. 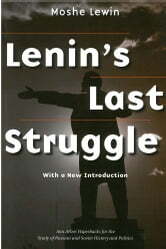 Lenin's Last Struggle offers invaluable insights into the rise of the Bolshevik party and the Soviet Union, a saga complicated by complex strategic battles among the leaders of Lenin's generation: leaders whose names are universally known, but whose personalities and motivations are even now not sufficiently understood. Moshe Lewin was a collective farm worker in the USSR and a soldier in the Soviet army. He later became director of studies at the Ecole Pratique des Hautes Etudes in Paris, a fellow of the Kennan Institute, a senior fellow of Columbia University's Russian Institute, and is now emeritus professor of history at The University of Pennsylvania.